Is It Worth the Upgrade for PC Gamers? After our recent feature comparing Intel's 8th-gen Core series against AMD's Ryzen processors, many of you have been asking us to get some older chips into the mix, with particular interest in seeing how Haswell-era processors hold up against Intel's latest offerings. That sounded like a good idea to us and we were also curious to see how well the Core i7-4770K has aged -- we first tested this CPU in June 2013. This article should also give 4790K owners a good idea of the gains they can expect when upgrading to a new Core i7-8700K. For a quick refresher, the 4770K and 4790K are both based on the Haswell architecture, with the former arriving in mid-2013 and the latter coming a year later with overclocked parts and a new range of chipsets. The 4790K is clocked 500MHz higher than the 4770K (4GHz versus 3.5GHz) and we can simulate that by overclocking the 4770K. Today's benchmark results should also be useful for Core i5 Haswell owners who are undecided between buying a second-hand Core i7 or just biting the bullet and getting a new 8th-gen processor, which also means upgrading their motherboard and memory. Apart from the the additional 50% core/thread count and the small IPC gains Intel has made over the past four years, one of the big advantages the 8700K enjoys is its support for faster higher-clocked DDR4 memory. First up we have the CPU demanding Ashes of the Singularity and for this test we used the DirectX 12 API with a GTX 1080 Ti. The resolution has been set to 1080p and likewise for all the benchmarks, though Ashes of the Singularity has been tested using the ‘high’ quality preset. Here we see that prior to any overclocking the 4770K is able to outclass the 7600K, though it was 14% slower than the 7700K. Surprisingly overclocking had little impact on performance and even at 4.6GHz the 4770K was 25% slower than the 8700K. Unsurprisingly, in a game that can utilize the 8700K's extra cores it does enjoy a decent performance advantage. Ashes of the Singularity is one of the few titles out right now that takes advantage of processors with more than eight threads, so I don't expect to see this kind of a margin in many, if any of the other games I've tested with. Moving on, we have the Battlefield 1 results and here we have another CPU-demanding title. As you can see, the 7600K gets hit really hard here for the 1% low result, dropping down to just 79fps and while that's still a high frame rate, the 4770K at it's stock 3.5 GHz operating frequency was much faster at 96fps. 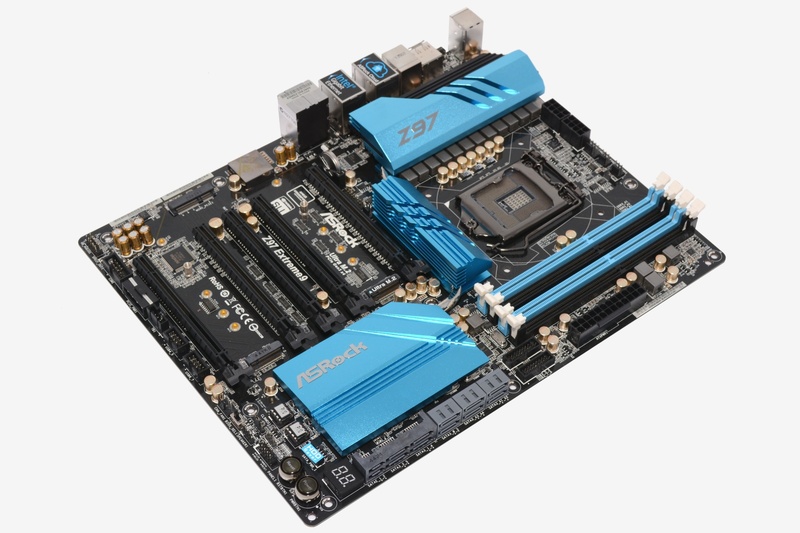 Once overclocked, the 4770K managed a minimum of 113fps, placing it on par with the 7700K. However, the faster DDR4 memory allowed the 7700K to push the 1080 Ti to higher frame rates at times and therefore it achieved a higher average frame rate. The 8700K wasn't much faster though. When compared to the overclocked 4770K, it was just 12% faster for the minimum frame rate, though it was 18% faster for the average. I should just note that the frame rate cap was removed for this test, so we're at the limit of what the 1080 Ti can do here.